The type of pins you used when piecing can make a huge difference in the outcome of your patchwork. It can mess with the accuracy of your work as well. When I teach, I'm amazed at the size and thickness of the pins most people are using. You could build a house with them! 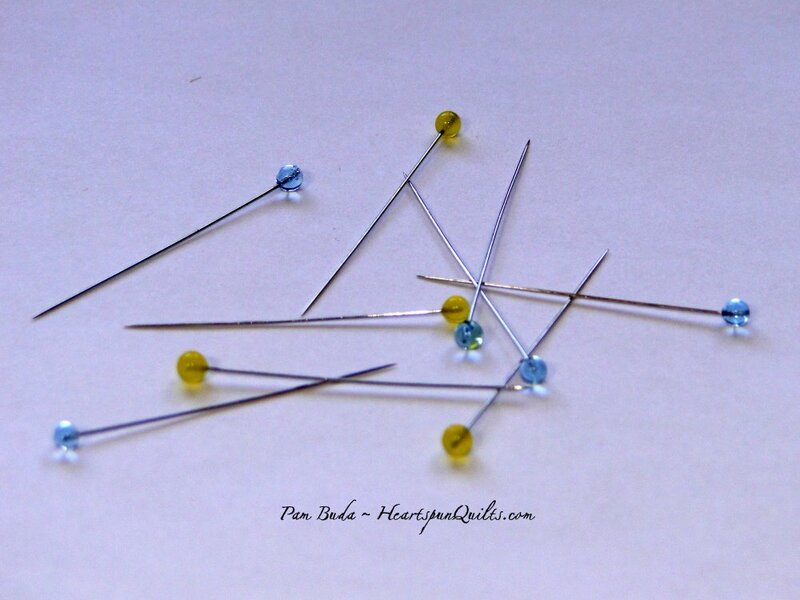 What you really need are ultra thin pins made for piecing a quilt!! These are the absolute best pins I've found. They push through the fabric like "butter", are thin enough that they don't distort your patchwork, won't break your sewing machine needles, and can be used with an iron if you so choose.